It's a simple enough recipe but with plenty of flavor for your tastebuds. I have been so happy lately that I've been able to actually use an oven anytime I want again (yes, I've taken over Duc's kitchen at his new apartment). This has led to finally making more foods. I never realized how often I would make things using an oven before until I couldn't anymore at his place. Roasting vegetables is one of those perks. 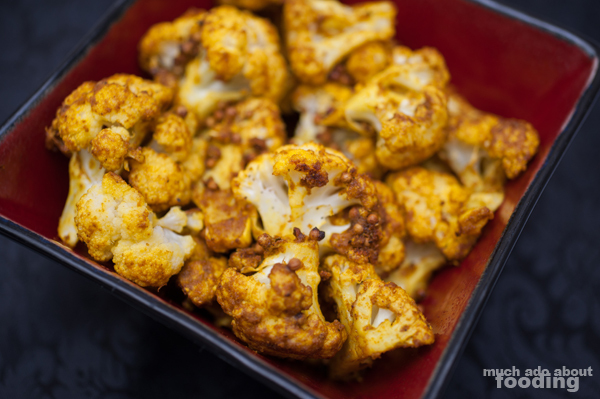 This cauliflower recipe was inspired through Bon Appetit's weekly Healthy Recipes eblast. 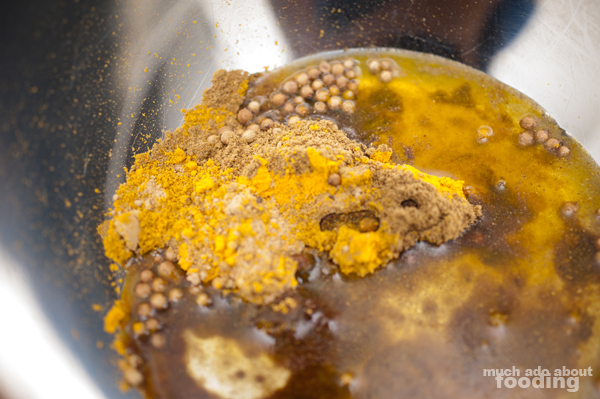 It's a good side to have, especially if you love Indian spices! 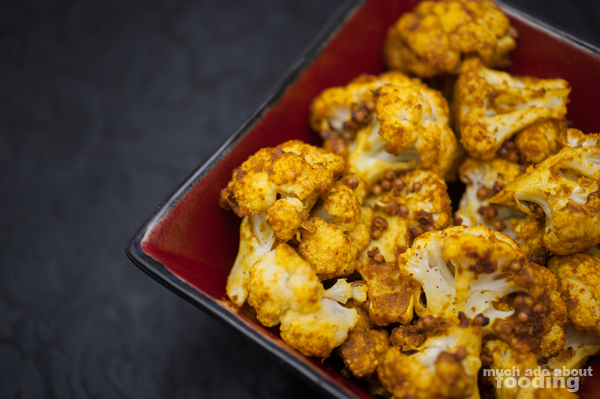 It's honestly as simple as mixing together all the ingredients listed above cauliflower in the ingredients list (olive oil, curry powder, coriander seeds, ground cumin, ground ginger, and turmeric). Mix them all together well in a large enough mixing bowl. 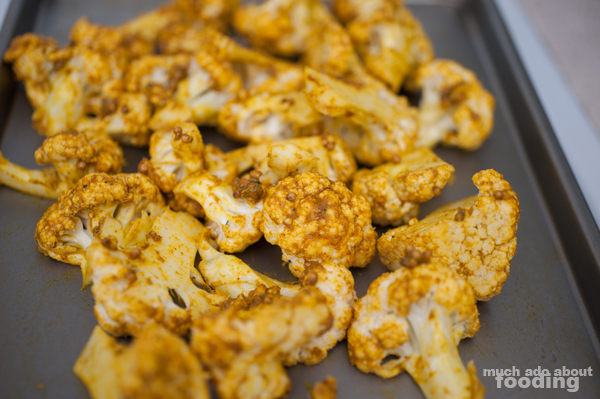 Separately, clean cauliflower and remove large stem. Slice into small florets, approximately 1" in size. Preheat oven to 450°F. 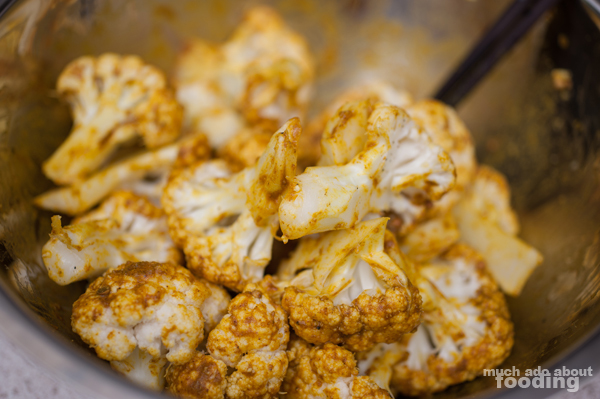 As simple as it sounds, add in the cauliflower to coat in mixture. Add in salt and pepper after the florets have been well coated. 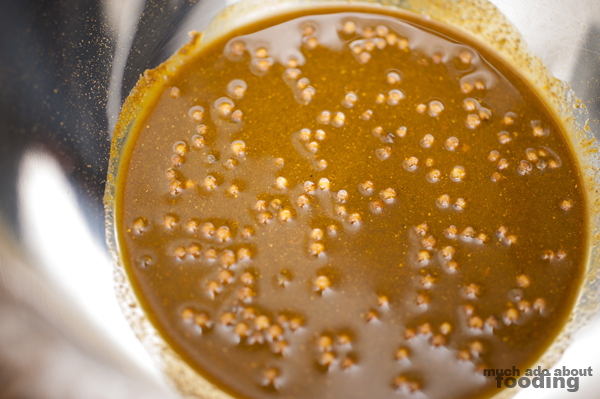 Place florets in a single layer on a baking sheet and place in the oven. Roast for 10-15 minutes before removing. Eat alone as a flavorful snack or have as a side at your meal!